By the end of this course, candidates will be able to administer and troubleshoot file systems and partitioning, logical volume management, access control, and package management. Candidate will also get knowledge of automated installations, command line access, network configuration and troubleshooting, LVM & RAID administration, implementation of NFS, CIFS & autofs, managing user accounts, network user accounts with LDAP, managing SELinux, managing installed services like DNS/DHCP/HTTP, log management, hard disk health check, managing processes, tuning and maintaining the Kernel and System Recovery Techniques. In addition this course will also discuss about Linux Security Model (IPtables, TCP Wrapper, PAM), Scripting basics (Perl/Python), Linux Virtualization and new features of RHEL 6. Concepts of Udev –Explain different udev command like udevinfo . etc..
5) Various options with NFS export and when & where do we use these options. How to configure Apache, How to configure and load Plugins with Apache, Tuning Apache for better performance. 1) Discuss and demonstrate how to utilize the tool “smartctl” to check the status of disk health. Security – Different Network security tools available in Linux-Iptables,Tcp wrapper, PAM security modules. ITIL was built around Deming's plan-do-check-act cycle. + Governance = is concerned with policy and direction. 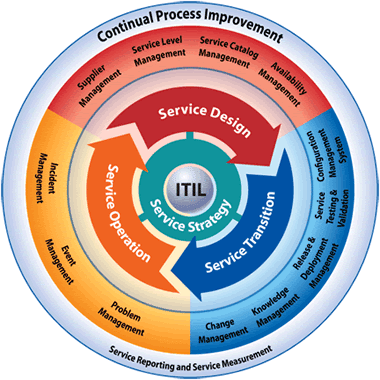 + ITIL = Information Technology Infrastructure Library. + Service Management = a set of specialized organizational capabilities for providingvalue to customers in the form of services. + Service request = a request from a user for information, advice, or for a standard change. … ensuring that the IT infrastructure is obtained at the most effective price (which does not necessarily mean cheapest) and calculating the cost of providing IT services so that an organisation can understand the costs of its IT services. A service should always deliver value to customers. Resources and capabilities create value for customers. A service design package (SDP) contains information that is passed to service transition to enable the implementation of a new service. The purpose of service level management = to ensure an agreed level of IT service is provided for all current IT services. Service level management process is responsible for discussing reports with customers showing whether services have met their targets. + Reliability: Ability of an IT component to perform at an agreed level at described conditions. + Maintainability: The ability of an IT component to remain in, or be restored to an operational state. + Serviceability: The ability for an external supplier to maintain the availability of component or function under a third-party contract. + Security: refers to the confidentiality, integrity, and availability of that data. Third-party contracts are the responsibility of supplier management to negotiate and agree. + R(esponsible) – Who is responsible for actually doing it? + A(ccountable) – Who has authority to approve or disapprove it? + C(onsulted) – Who has needed input about the task? + I(nformed) – Who needs to be kept informed about the task? The configuration management system is part of the service knowledge management system. The configuration management system (CMS) can help determine the level of impactof a problem. The relationship in service asset and configuration management describes how theconfiguration items (CIs) work together to deliver services. Service operation stage of the service lifecycle, delivers and manages IT services atagreed levels to business users and customers. Service operations contribution to business is adding value, and the service value is visible to customers. *Major incidents require separate procedures. A problem = a condition often identified as a result of multiple incidents that exhibit common symptons. Access management process is responsible for providing rights to use an IT service. Where to we want to be? These tips will help you to get most out of the Chrome browser. When you pin a tab, it minimizes the tab to display only the icon. When you have several tabs opened, this feature is very helpful, as the Tab title displays only the icon and takes only little real estate. By default, chrome doesn’t display the ‘Home’ button in the toolbar. This will now display the ‘Home’ button in front of the URL field. Click this button to go to your home page quickly. 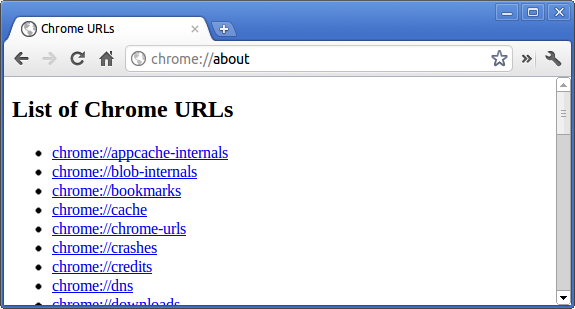 The URL address bar (also called as Omnibox in Chrome) in the Chrome browser is not only to enter your URL. Just type the keyword you want to search and press enter, which will perform a google search. You can also perform calculations or conversions directly in the Omnibox. Try typing any one of the following in the URL address bar and press enter to see the results yourself. Incognito mode is for private browsing, where Chrome doesn’t record your browsing history, download hisotry. 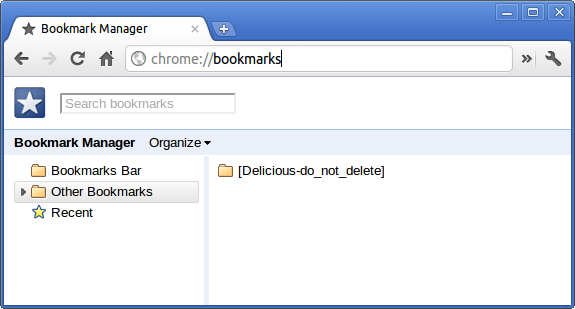 Any cookies that are stored during the incognito mode is deleted when you close the browser. 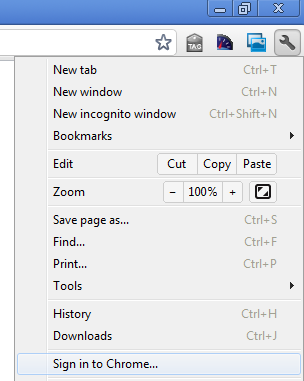 You can launch incognito by pressing Ctrl + Shift + N, (or) Settings -> New incognito Window, (or) right mouse-click on a link from a regular Chrome session, and select “open link in incognito window”. One of the practical use for this mode (apart from private browsing) is to login to the same site using two accounts. For example, if you have two gmail accounts, login using the first account in your regular Chrome browser, and login using the second account in your Incognito mode on your Chrome browser. This way, you can be logged in to two gmail accounts at the same time on Chrome browser. If you’ve closed a tab by mistake, you can open it by pressing Ctrl + Shift + T, (or) right mouse-click on the empty area in the title-bar -> and select “Reopen closed tab” as shown below. There are various about command that you can type in the address bar. 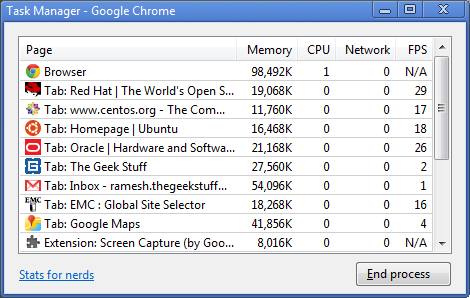 Task manager displays the memory and CPU usage of the Chrome browser, broken down by each and every Tab. If you have multiple Tabs open, and when your system is slow, you can use task manager to identify which Tab is causing the issue. Right click on empty space in the title bar and select “Task manager”, (or) Press Shift + escape key to launch it as shown below. Type “amazon” in the address bar AND press “Tab”, which will change the address bar to “Search amazon.com:”, any keyword you type after this will be searched in the amazon.com and it will take you to amazon.com website. You can also change the default search engine. Right click on the address bar -> and select “Edit search engine”. From here you can choose other search engines. As you already know, when you right click on a link, and say “Open link in a new tab”, it opens it as a new tab (next to the current open tab). However, if you want the link to be opened at a specific tab location, you can hold the link, drag it and drop it as a specific tab location. You’ll see a small arrow when you drag and drop the link. In the following example, I tried to drop the link at 2nd tab location. If you are using multiple computers (at home, at work, etc. ), you don’t need to worry about trying to setup the Chrome browser in the same way on all the computers you use. 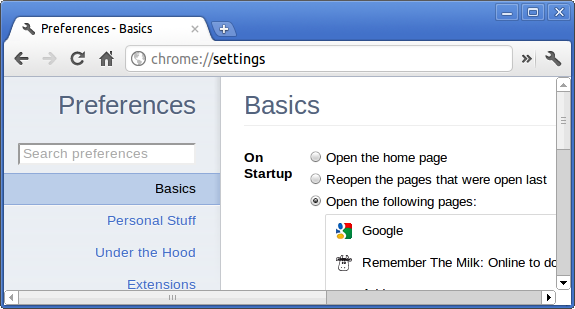 Instead, setup your bookmarks, extensions, themes, settings, etc, on your Chrome browser on one computer, and select “Sign in to Chrome” from the settings menu as shown below. This will ask you to enter your google username and password. This will save all your chrome settings on your google account. 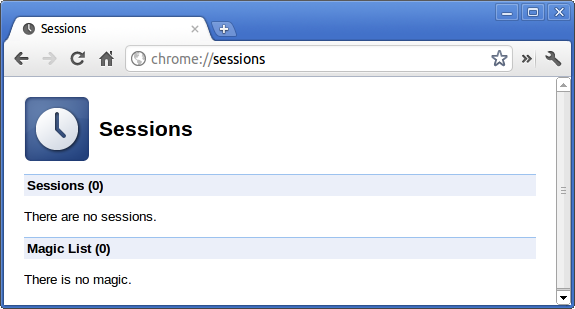 Next time when you sign-up from another machine, all your chrome settings will be visible on the new system. If you make any changes to your chrome settings on this new system, it will be available on your other computers too. Use this feature only on the systems which you trust and not on public computers. 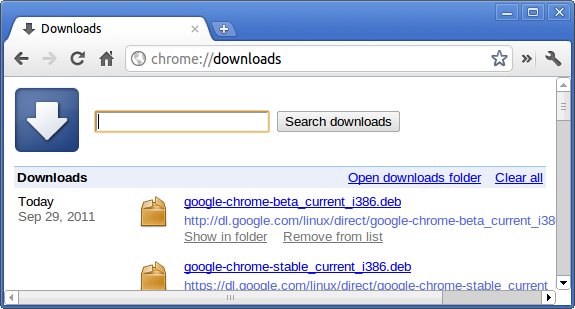 Once a file is downloaded, you can just drag and drop the file (from the Chrome download window) to your Windows explore, or any other file browser that you are using on your system. 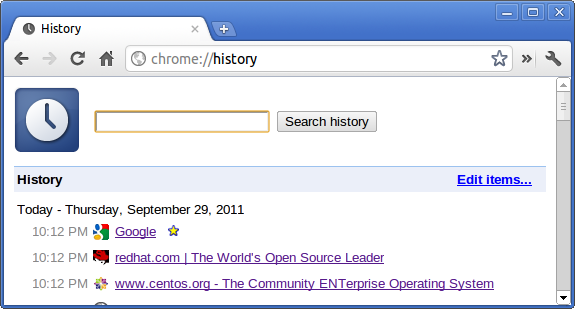 Press Ctrl-H, or go to Customize -> History, to launch the history window. From here you can search for a specific website from your history, delete all your history, or delete only selected items from your history. If you like to create a shortcut to the website that you are currently viewing, go to Customize -> Tools -> Create application shortcuts. This will ask you where you like to create the shortcut for this website, as shown below. Once you create a application shortcut, next time when you click on it to open it, it will open this site in a Chrome browser without any tabs, url location bar, etc. You can also resize a textarea that you see on any website. Please note that you can resize only the textarea and not a textbox. At the bottom right corner of the textarea, you’ll see two slanted lines, use your mouse, hold this, and drag it to resize the textarea on the screen. You can try this yourself on the comment box (which is a textarea) located at the bottom of this page. If you have multiple Tabs opened, and like to detach a single tab as a separate Chrome instance, just drag the tab anywhere outside the browser, which will detach the tab and run it in a separate Chrome browser window. When you are browsing a website, if you come across some word that you are not familiar with and like to perform a google search on it, just double-click on the text to high-light it, right mouse-click, and select “Search google for”, which will open a new Tab and search for the selected text. This saves some time. 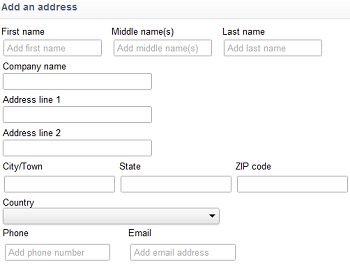 You can use the autofill option to enter one or more addresses that you can use to fill-up any web forms. You can also use this feature to store one or more credit card information that can be pre-populated on web forms. Don’t use this feature on a computer that you don’t trust. Go to settings -> Options -> Personal Stuff -> Click on the check-box “Enable Autofill to fill out web forms in a single click” -> Click on Manager autofill settings -> Click on ‘Add new Address’ and enter the information. Go to Settings -> Options -> Under the Hood -> click on sign into “Google Cloud Print”. Once you setup your printer using Google cloud print, you can print to it from anywhere. i.e You can print to it from your mobile, other PC at work, or any other system that is connected to the internet. Following are the 12 most helpful chrome:// commands that you should know. From here you can enable some of the experimental features that are hidden in the google Chrome browser. Please note that as mentioned on this page, since these are experimental, these might not work as expected and might cause issues. Enable these features and use it at your own risk. 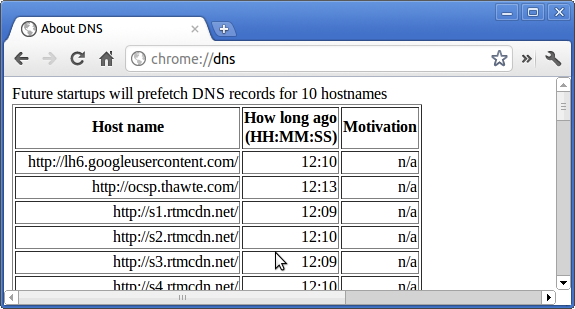 This displays the list of hostnames for which the browser will prefetch the DNS records. 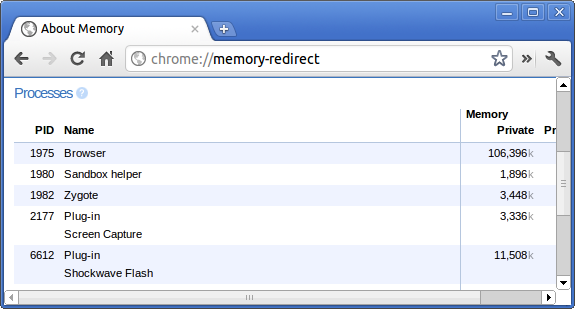 This will redirect to “chrome://memory-redirect/”. This will display the memory used by Google chrome browser, and all other browsers running on the system (including firefox). 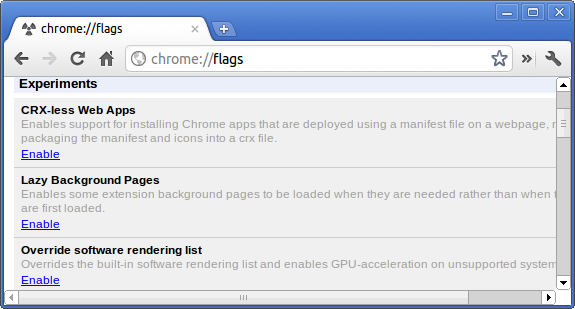 This also display all the process related to browser with their PID, process name, and the memory it takes. This displays all networking related information. Use this to capture network events generated by the browser. You can also export this data. You can view DNS host resolver cache. One of the important feature in this feature is “Test”. 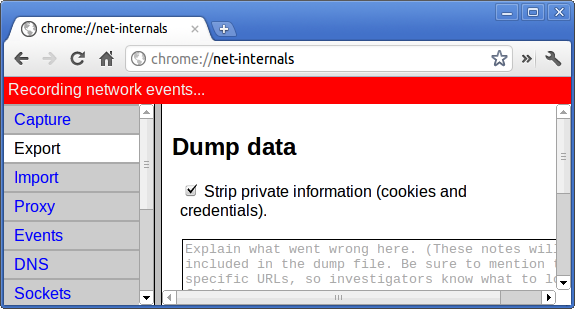 If a URL failed to load, you can go to “chrome://net-internals” -> click on “Tests” tab -> type that URL which failed, and click on “Start Test”, which will do some test and report you why that URL failed. 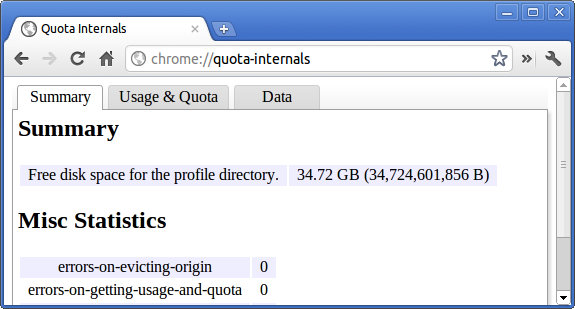 This gives information about the disk space quote used by the browser, including the break down of how much space the individual websites took under temporary files. This displays the number of sessions and magic list that are currently running. 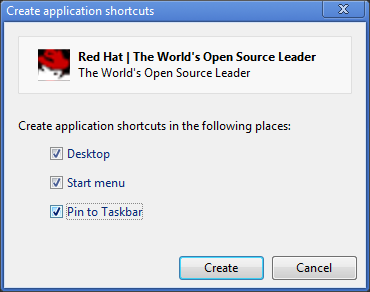 This is also available from the Menu -> Options (on Windows), and Menu -> Preferences (on Linux). From here you can control various browser related settings. 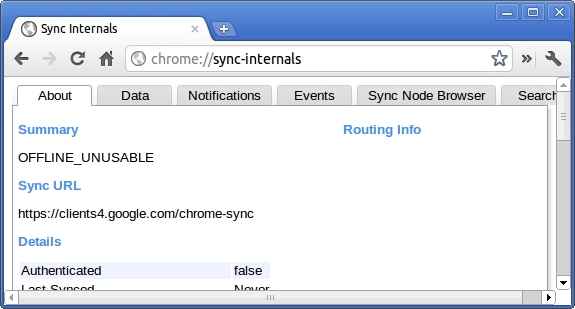 This gives information about the chrome sync feature, including the Sync URL used by google, and sync statistics. 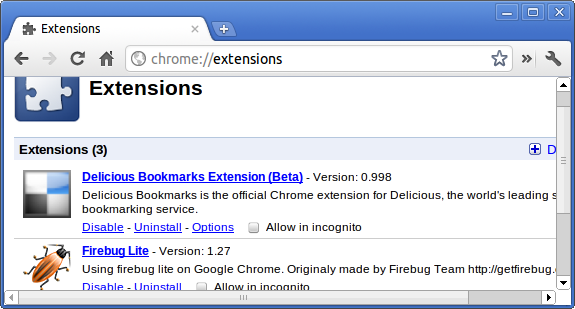 Finally, to view all the available chrome:// commands, type chrome://about/ in your chrome browser URL as shown below. Also, please note that all of the commands mentioned above can also be called using google chrome about command, which redirects to chrome://. For example, both of the following are exactly the same.